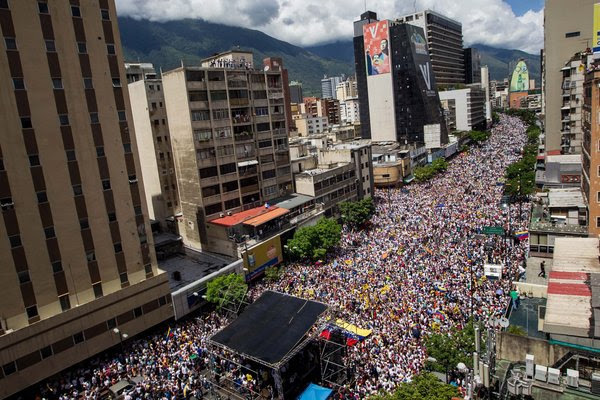 TENS OF THOUSANDS DEMONSTRATE IN CARACAS, VENEZUELA | "Global Possibilities"
5. Tens of thousands of protesters took over a major highway and several avenues and plazas in Caracas, the Venezuelan capital, demanding a referendum to recall President Nicolás Maduro. They railed against spiraling violence, a lack of jobs and widespread food shortages. “Sometimes I want to kill myself,” said a 42-year-old mother.